წელსაც მინდა ბათუმში… შარშანაც მინდოდა. წელსაც გავიარე რეგისტრაცია BIAFF ბლოგერების კონკურსზე… შარშანაც გავიარე. წელსაც შვებულება ფესტივალის პერიოდში დავგეგმე. შარშანაც ეგრე ვქენი, მაგრამ წელს აუცილებლად წავალ. მე წელს ბათუმში წავალ და შარშანდელივით პარიზზე არ გავცვლი. 1. One on One, Kim Ki Duk, South Korea, 2014; 122 min. 3. Eisenstein in Guanajuato, Peter Greenway, Netherlands/Mexico/Finland/Belgium/France, 2015; 105 min. 4. My Good Hans, Alexander MIndadze, Germany/Russia, 2015; 110 min. 5. Winter Song, Otar Iosseliani, France/Georgia, 2015; 117 min. ბათუმის საერთაშორისო კინოფესტივალი წელს უკვე მეათედ ტარდება. რეგისტრაციის გავლა მათი გვერდის საშუალებით ძალიან მარტივი იყო. ზოგადად BIAFF გამორჩეულად სოციალური კინოფესტივალია. ორგანიზატორებს მუდმივი და დინამიური კონტაქტი აქვთ საზოგადოებასთან, რაც ნამდვილად დასაფასებელია. 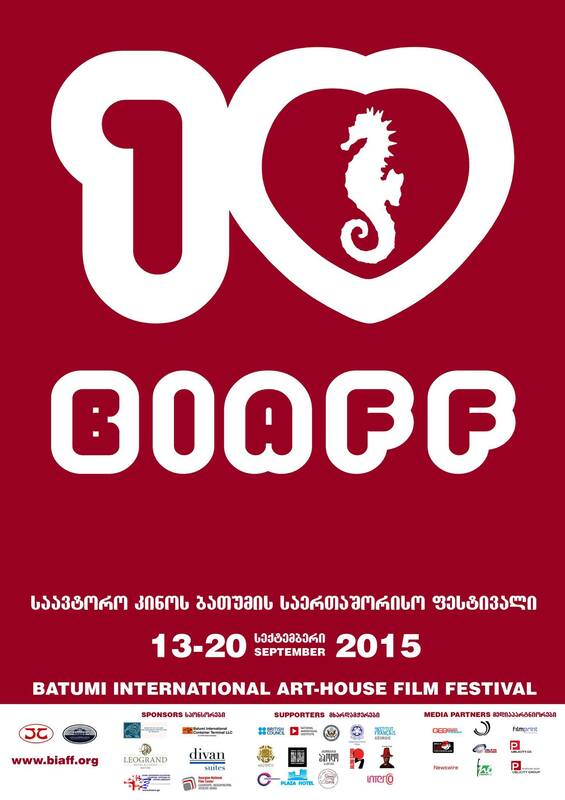 Batumi International Art-House Film Festival.